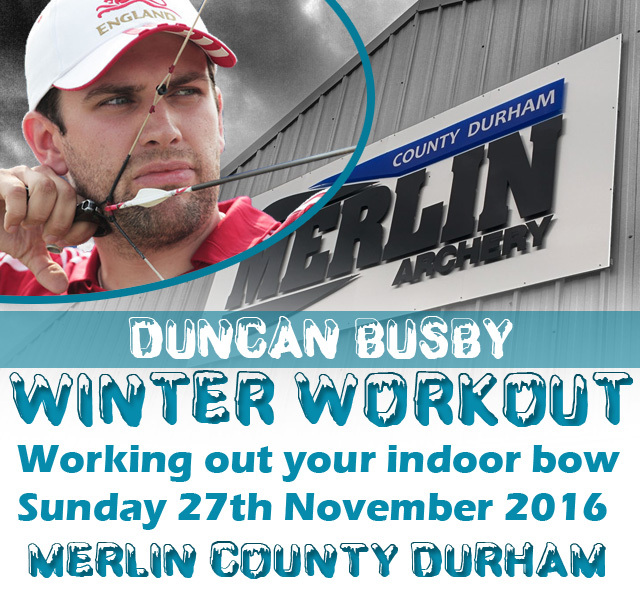 Due to popular demand Duncan will be appearing at Merlin Archery Centre, County Durham for the first time as host of the Winter Work out event, so book your space now and work out your bow this upcoming season. The Winter Work Out is a practical as well as instructive event so you'll also have the opportunity for a one-to-one coaching session with Duncan in the 10m indoor range. Book your space now to avoid disappointment and make this indoor season the best yet!